We work with leading window and door manufacturers that use the blu™ range to enhance their own product ranges; from joinery firms to building companies and craftsmen whose customers seek the best. Homeowners and self builders are also increasingly using bluTM products on their own properties given the performance and style. 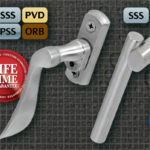 If you’re looking for a beautiful and durable range of window and door hardware for a building development, refurbishing windows and doors or you’re a manufacturer wanting to integrate the blu™ quality within your own products, we are here to help. Our dedication to quality and consistency is paramount, ensuring you enjoy market-leading products, backed up with exceptional customer service. Our team is always on hand to help. Ordering and delivery is easy and effective, with orders dispatched straight to your door. Companies wanting to integrate blu™ into their own product ranges should not hesitate to contact us on 01726 871724. At blu™, quality is paramount. When it comes to durability and resistance to corrosion in the world’s harshest environments, 316 Marine Grade stainless steel is the product of choice as testified by the marine industry. In exposed locations where corrosion levels are high, commonly used metals such as zinc, brass and 304 stainless steel are not able to stand up to the elements and corrosion can quickly start. This is why we use 316 Marine Grade Stainless Steel as standard on all blu™ products. Since marrying this performance with stunning, contemporary design, we have been able to create a range of door and window hardware that not only looks and feels fantastic but also is designed to withstand the elements. 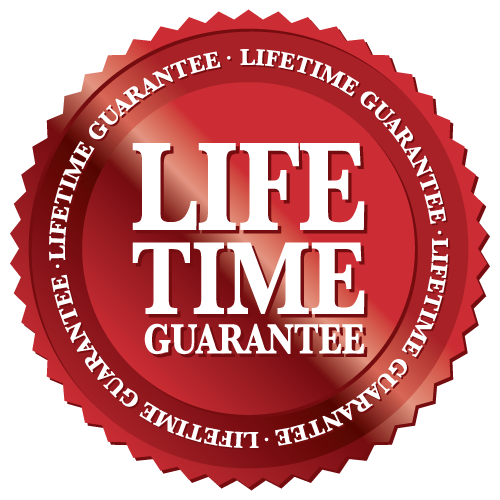 Backed up by a Lifetime Guarantee on all products across the range and market leading customer service, blu™ is the number one choice for quality and support. 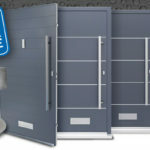 “We are very selective who we work with and go to great lengths to choose suppliers that match our own ethos for high standards in everything we do, as our reputation is only as good as the people we work with,” said Rockdoor founder Darren Chesney. “We were introduced to blu™ and its range of door hardware after we were let down by a supplier and they were able to step in and deliver a great service and great product. We were impressed from the start as they not only got us out of a potential hole but were happy to go the extra mile for us. From a product perspective you are looking at high quality from blu™ – the marine grade stainless steel is second to none both in terms of styling and performance.” he added. Click here to view and download the key features overview in English. Click here to view and download the key features overview in German. By clicking on our case studies here you will be able to see where our products have been used and what our customers have to say about them and the service from blu™. We believe once you see and feel the quality of the blu™ product range, you will understand why it is designed and built without compromise, setting our products aside from others on the market. If you would like to order a sample from the range then contact one of our team on 01726 871724 who will be able to discuss your specific needs. Beauty and performance come in equal measure across the blu™ range. Our technical team is on hand to deal with any question you may have regarding the blu™ range, before and after purchase. For those requiring more technical data regarding the blu™ range, you can download one of our Data cards. Simply select the product you are interested in and press the download button.